SupraStore and XAT Racing are now offering an exclusive UZ engine torque plate for those that want to properly hone the cylinders on their Toyota/Lexus V8s! These fit all UZ engines with factory sleeves. 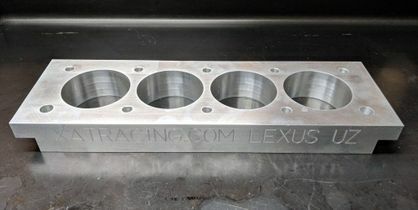 Any serious engine builder will tell you that you need a torque plate in order to provide a similar stress pattern on the block that it experiences with the head on the block. Some builders even go as far as putting an old head gasket between the block and plate, then go through a standard Toyota pattern for torquing down the bolts/studs. 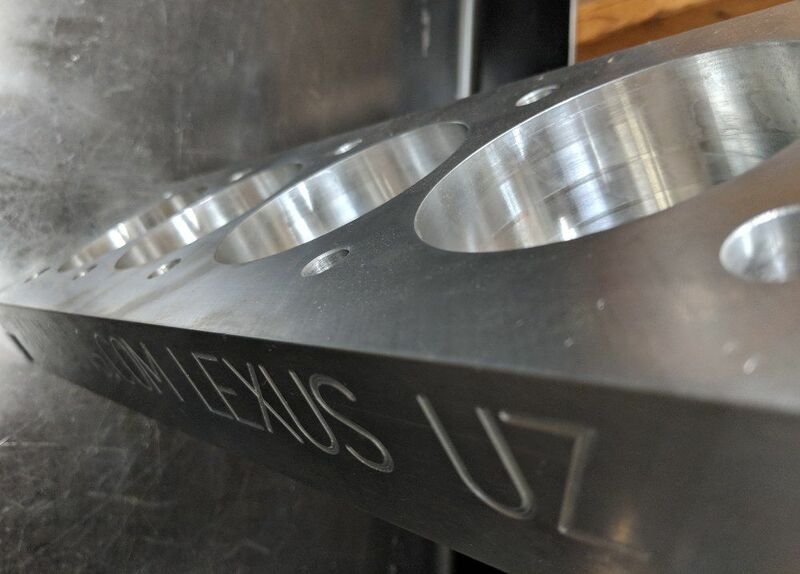 This is a precision machined torque plate, manufactured out of 2.0" (50.8mm) thick 6061 T6 aluminum (precision CNC'd by our own machine shop in the USA). Aluminum was chosen, as it best replicates stress and strain coefficients of expansion during torquing that the factory aluminum head does. It has an overbore that will allow for plenty of room for honing and boring as possible, so if you are building a setup with stock or slightly larger bore, you won't have an issue. They also get shipped in a sturdy container for protection. These are quite possibly the only ones on the market anywhere, so instead of charging up to $800+ for these units, we thought we would bring it to the market for a reasonable price!! You can expect one to ship next day typically, as we have one on the shelf at all times! These are available for shipment outside the USA if required as well! 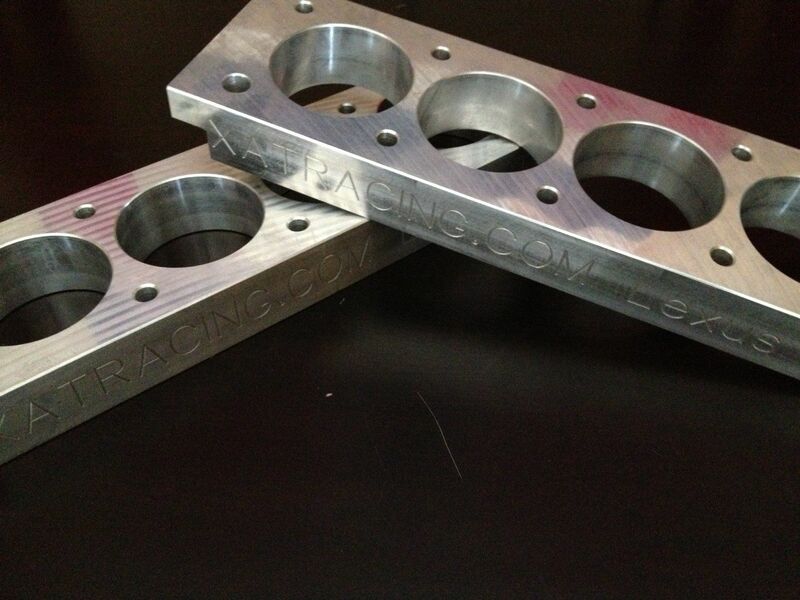 A torque or honing plate is critical when doing the hone/bore process on any engine build, especially those that will be running a boosted setup and ARP head studs. Performance studs are typically torqued at much higher values than standard OEM studs, which causes a deflection in the cylinders if not using a torque plate.